The Federal Aviation Administration is setting up an advisory committee, led by Intel CEO Brian Krzanich, to guide it on the integration of unmanned aircraft systems in the national airspace. The formation of the committee could link to plans by the FAA to finalize much-awaited rules for the commercial operation of drones, which will likely pave the way for the widespread use of the airborne devices for deliveries and other applications by companies like Amazon.com and Google. 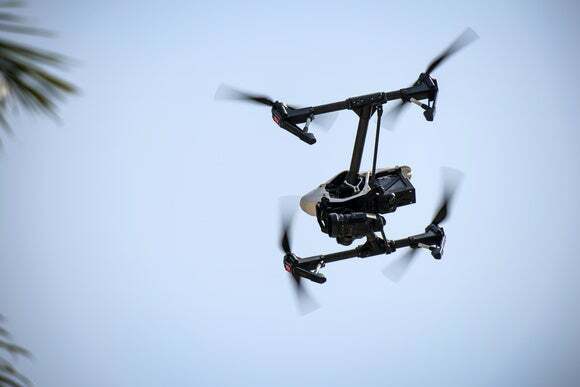 “By late spring, we plan to finalize Part 107, our small UAS rule, which will allow for routine commercial drone operations," FAA Administrator Michael Huerta said in a speech at a drone event on Wednesday. Huerta had said in January that the the rules would be finalized at the end of spring, but there has been skepticism as the process has been plagued by delays, including missing a September deadline mandated by the U.S. Congress. Members of the new drone advisory committee will include representatives from a variety of organizations with interests in drones, including manufacturers and operators, application service providers, pilots, the FAA, NASA, representatives of manned aviation and the Department of Defense. Unlike bodies like the UAS registration task force, which developed recommendations for the registration of UAS devices, and the micro UAS aviation rule-making committee set up recently by the FAA for a single purpose and limited duration, the new drone advisory committee is intended to be a long-lasting group that will essentially serve the same purpose as the FAA’s NextGen Advisory Committee, Huerta said. Selections by the FAA of members of the advisory committee are expected to be made by May 31, the agency said. Huerta will be the designated federal official on the committee. The FAA proposed in February last year draft rules, which would possibly allow programs like those of Amazon for the commercial delivery of packages by drones to take off. But the commercial drones would still operate under restrictions such as a maximum weight of 55 pounds (25 kilograms), flight altitude of a maximum of 500 feet (152 meters) and rules that limit flights to daylight and the visual line-of-sight of the operators. Some companies have been pressing for a relaxation of the rules such as the line-of-sight requirement. The Senate passed last month the Federal Aviation Administration Reauthorization Act of 2016, which while recognizing the opportunities for the use of drones for commercial applications, aims to impose safety rules and technologies like geofencing, particularly to curb the reckless use of consumer drones by hobbyists. The legislation, which still has to pass the House of Representatives, also tries to avoid a “patchwork quilt” of rules by states and local authorities by giving the FAA rules preemption over local and state laws governing the use of drones.